Sparkling lights and sights of wonder can be found after Christmas with Magical Winter Lights. 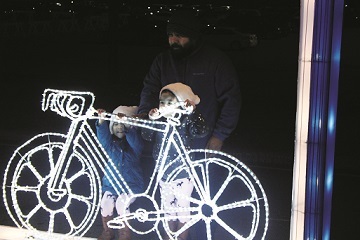 The interactive light display at Lone Star Park in Grand Prairie will remain open until Jan. 7. There are five lantern displays inside the attraction: Christmas Candy Land, Mystery of the East, Dinosaur Land, Lone Star State, and Magical Wonderland….